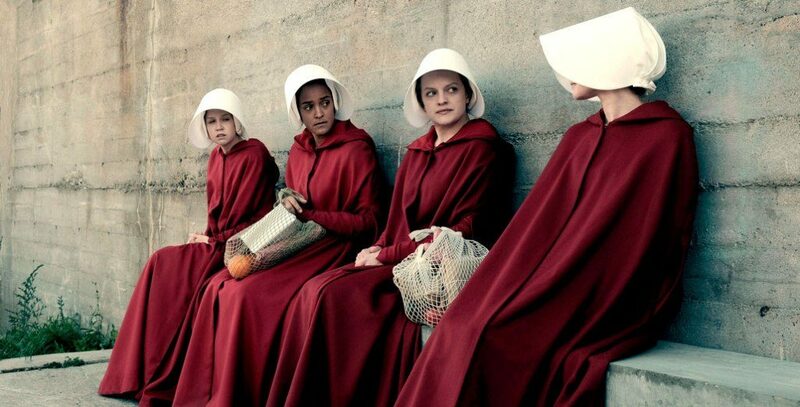 Time to get excited, because one of TV’s biggest shows, The Handmaid’s Tale, is coming back for season three, and we can hardly contain ourselves. If you don’t want to read spoilers for previous seasons, look away now. So, everyone’s favourite feminist show is back, and after an action-packed second season, we’re excited to see what the next season will bring. We ended season two with June/Offred (Elisabeth Moss) making the impossible decision whether to leave Gilead with her newborn daughter, or stay in the hope of being reunited with, and saving, firstborn Hannah. Ultimately, she decided to stay, knowing her new baby would be safe with Emily/Ofglen (Alexis Bledel). Frustrating for some viewers (and us –what was she thinking? ), she gave up her chance at safety to save her child. Whether it was the right or wrong decision to make, we’re certain this will be a crucial starting point for season three, and is sure to come back to haunt her. With her last meeting with her daughter going so horribly wrong, the one thing this show promises is to rip your heart out, and keep you guessing about what will happen next. We left Aunt Lydia (Ann Dowd) fighting for her life after being literally stabbed in the back by Emily. Will she survive, and will she be a key player in season three? Only time will tell, but one thing’s for sure, she’s one tough cookie. Currently, the release date for season three has not been announced. However, we know that production began in October 2018, and filming has commenced as well. This means, the show is on track for release in the USA in April, as the previous two seasons were. For us UK viewers, it means a release on Channel 4 hopefully some time around the end of May. We’re expecting a return from all the main characters, as all made it to the end of season two safely. But what about Aunt Lydia? We have a feeling we haven’t seen the last of her quite yet. With June choosing to stay in the oppressive regime of Gilead, we can only assume that he has unfinished business, and we can’t wait to see what season three has in store for us.